October in Asia is pleasant, as long as you're enjoying autumn weather in East Asia rather than dealing with the monsoon rains in Southeast Asia. October is a transition period, a "shoulder" month between seasons. The Southwest Monsoon gives Thailand a final blast before beginning to clear in November. 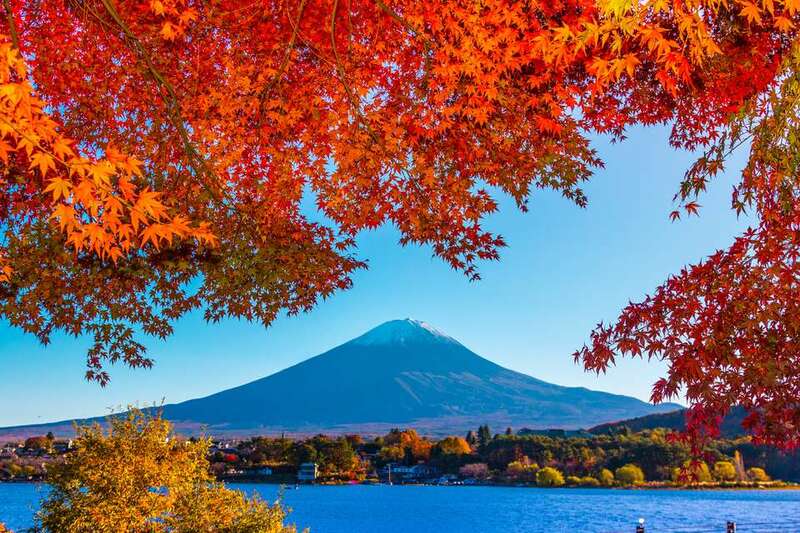 China, Japan, and other places with moderate climates will be enjoying fall colors. The National Day holiday in China on October 1 is one of the country's biggest. Expect major transportation clogs as millions of Chinese people travel for the week-long event. September is a peak month for typhoons in Japan. Late storms could still be a threat in early October. Stay updated about potential weather systems before flying to East Asia. Flooding is a frequent occurrence in Bangkok during October. Rain adds to the water already accumulated from heavy rains in September, causing the Chao Phraya to outrun its banks in Bangkok. Flooding could cause street closures and additional traffic problems. Since October is a transition month for the monsoons in Asia, the weather in Southeast Asia is often hit or miss. October is the second-rainiest month for Thailand and the last month of the monsoon season. Flooding is sometimes an issue in Bangkok and northern regions along the Chao Phraya River. Fall foliage in China, Japan, and Korea will be in full swing during October. Seeing the autumn colors from the Great Wall is an unforgettable experience! If you're traveling to Bangkok, take a kayak and life jacket! Kuala Lumpur isn't much better. Storms batter both capital cities and temporarily flood streets. Pack for you and your luggage to potentially get wet. For travel in pretty well all Southeast Asian destinations north of Bali, you'll want a way to protect electronics you may be caught with during pop-up, afternoon squalls. Have a waterproof daybag or dry stuff sack handy. Umbrellas are for sale everywhere; no need to bring one 8,000 miles from home, but they aren't much help during intense torrential downpours. Celebrating Halloween in a new country could be a memorable experience. You'll find a few events and parties in countries that have adopted the spooky tradition from the West. Consider taking a simple mask or small prop from home. Unlike in the West, stores won't be inundated with costume options! Big holidays and festivals in Asia are a mixed blessing. They can be a pleasant surprise and unexpected highlight on a trip, but they can also delay plans or destroy fragile itineraries. Ideally, you'll be well settled a few days at your destination before any of these October festivals in Asia hit. Accommodation prices may climb and transportation may be busy. Many of these big fall festivals in Asia are based on a lunisolar calendar; dates and months can vary from year to year. National Day in China: (Always on October 1) National Day is China's most patriotic holiday. It's also the busiest time to be in Beijing. Millions of people will be on the move throughout the country. Gandhi's Birthday in India: (Always on October 2) Mahatma Gandhi is revered as the "Father of the Nation," and his birthday is observed with prayers and celebrations throughout India. Delhi is the place to be for the most action. Phuket Vegetarian Festival: (Dates vary; usually September or October) The Phuket Vegetarian Festival in Thailand — technically, the Nine Emperor Gods Festival — isn't what you think. Devotees pierce their faces with swords and walk on hot coals! Phuket in Thailand becomes exceptionally busy. Full Moon Party in Thailand: (Monthly; not always on ​​the exact day of the full moon)This monthly party in Haad Rin on the island of Koh Phangan has grown so large that it affects traveler movement throughout Thailand! As the full moon nears, more than 10,000 travelers head south to the islands. After the party, the traffic flows in reverse to northern destinations. Festival of Ages in Kyoto, Japan: (Always on October 22) The Jidai Matsuri is one of Kyoto's largest cultural festivals. People dressed as Samurai are among the participants of the five-hour costumed procession. Diwali in India: (Dates vary; usually in October or November) Also written as Deepavali or Divali, India's Festival of Lights is a colorful, festive time to travel. Candles and ghee lanterns burn throughout the country. With so much diversity, India always seems to be celebrating something! Traveling during the monsoon season — especially at the end of October — could help you save money as businesses have run through their savings from the busy season and are more generous with discounts. At the same time, construction and noisy preparations for the start of the high season in November and December will be in full swing. October is pretty well the last chance to visit popular island destinations such as the Perhentian Islands and Tioman Island in Malaysia. They practically shut down in November due to low crowds and rough seas. China's largest public holiday (National Day) will be in full effect the first week of October. Preparations begin the last week of September. Expect major transportation delays and a surge of travelers in Beijing as people flock to the capital for some flag waving and time off work.